Can you identify any of the girls in this photograph? 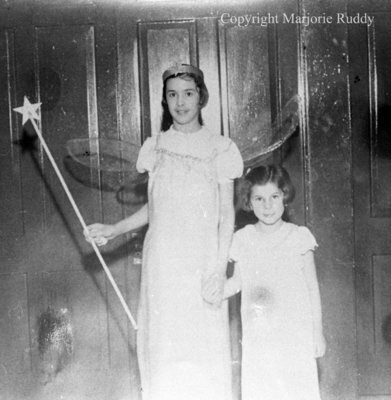 A black and white negative of two unidentified girls dressed in costumes for the Whitby United Church "Old King Cole" Sunday School anniversary play. In this view they are holding hands. Sunday School Anniversary Play at Whitby United Church, May 8, 1938, Marjorie Ruddy. Whitby Archives A2013_040_917.